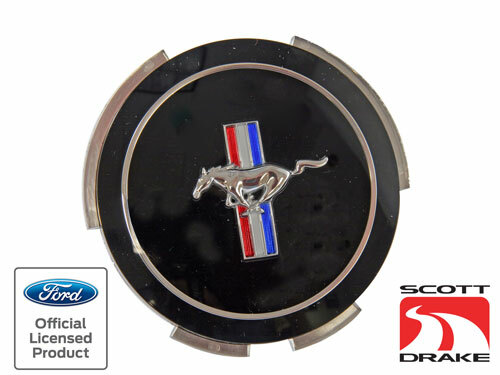 1966 Mustang Standard Hubcap Center Emblem. New Tooling by Scott Drake. Exclusively licensed by Ford. It's an exact copy of the original Lens / Center Emblem used for 1966 Standard Hub Caps.